RESIDENTIAL BUILDING LOT JUST OUTSIDE OF AHOSKIE. 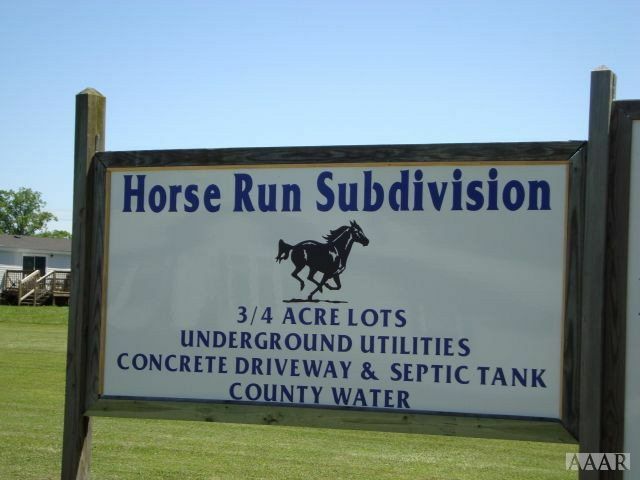 SEPTIC TANK AND CONCRETE DRIVEWAY PROVIDED BY SELLER WITH ACCEPTABLE OFFER. Ahoskie Christian School * Pre-School, Elementary School, Middle School, High School / Private N/A 3.95 mi. Bearfield Primary School * Pre-School, Elementary School / Public 3 3.61 mi. Acc Academy * Elementary School / Private N/A 3.95 mi. Ahoskie Elementary School * Elementary School / Public 2 3.88 mi. Hertford County High School * High School / Public 4 3.82 mi. Student Development Center * High School / Public 6 4.13 mi. The approximate monthly principal & interest payment for this property would be $114.50. This payment is based on a 30-year loan at a fixed rate of 4.000 % - APR 4.081 % with a down payment of $1,250. Actual lender interest rates and loan programs may vary. Loans with lower down payments are available. 108 Tims Drive, Ahoskie, NC 27910 lots and land offered for sale at $25,000.